Manufacturer of a wide range of products which include velour-backed aluminum oxide abrasive paper, stable and self-stick silicon carbide abrasive paper, light silicon carbide abrasive paper, stable aluminum oxide abrasive paper, very tear-resistant self-stick abrasive paper and table self-stick abrasive paper. 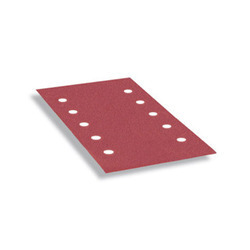 Used for manual and mechanical sanding on metal, wood, lacquer, paint, primer, filler, plastic and aluminum. 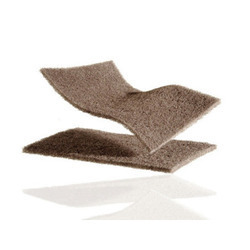 We are engaged in providing our esteemed customers with a comprehensive range of Velour-backed Abrasive Web. The offered range is manufactured using optimum quality raw material and advanced technology. As per the requirement of our clients, we provide the entire range in various sizes and shapes. Offered at market leading price, this web meets the specific requirements of our valued clients. With the help of our skilled professionals, we are capable in offering a wide array of Strong And Velour-backed Abrasive Web. Provided the web is manufactured by using superior quality raw material and advanced technology. While manufacturing the offered range of fasteners, our experts lay special emphasis on the overall quality and durability. Additionally, our quality controllers keep an eye on the entire range to avoid any possibility of flaw. 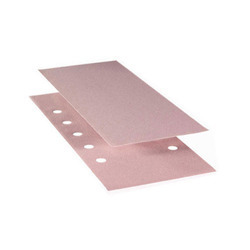 We are reckoned amongst the notorious organizations of a broad array of Velour-backed Abrasive Web that is used for producing structured and matt metal surfaces. Offered abrasive is manufactured using optimum quality mild steel and latest technology by skilled professionals. 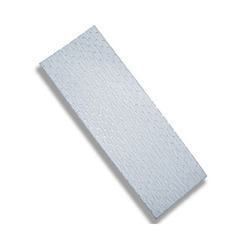 We provide this abrasive at very competitive price to our clients. 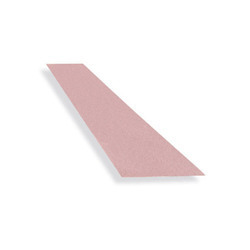 Besides, this abrasive is made available in various sizes and shapes. 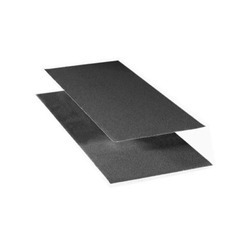 Provided abrasive is highly appreciated among our clients for its precise design and durability. 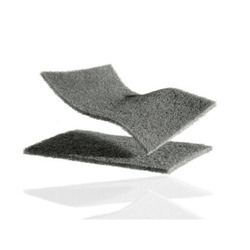 We are offering Waterproof Velour-backed And Light Silicon Carbide Abrasive. We are reckoned amongst the notorious organizations of a broad array of Waterproof Velour-backed And Light Silicon Carbide Abrasive. The offered abrasive is meticulously tested on various quality parameters and is widely demanded in various engineering industries. 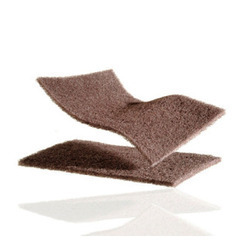 Provided abrasive is manufactured by utilizing optimum quality raw-material and the latest technology by our experts. 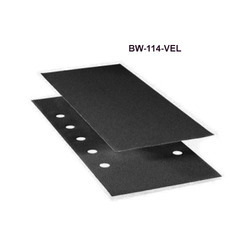 In line with industry standard, we provide this abrasive in various customized options and at affordable prices. We are an acclaimed name engaged in offering our precious clients a superior quality range of Velour-backed Abrasive Paper Disc. It is used for Grinding and polishing of edges and surfaces of granite, marble, and terrazzo on angle grinding machines. This disc is manufactured using optimum grade raw-material and sophisticated technology in synchronization with industry standards. In order to ensure quality, the entire range is rigorously tested on various parameters by our quality controllers. Keeping in mind the diverse requirements of our clients, we provide this disc in various sizes and specifications. 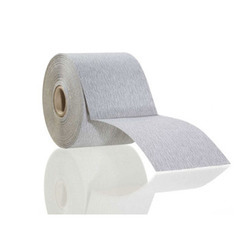 By keeping track with the market development, we are offering optimum quality Light Velour-backed Aluminum Oxide Abrasive Paper. Our offered paper is widely appreciated by our prestigious clients for its precise design and durability. 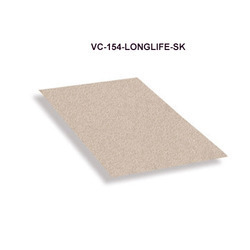 This paper can also be availed in various sizes and other related specifications. Our provided paper is manufactured by a team of our adept professionals utilizing quality approved raw material and advanced technology. 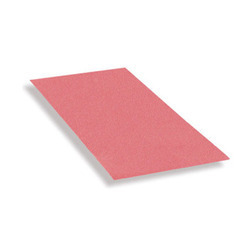 Our firm specializes in offering an excellent range of Stable Velour-backed Aluminum Oxide Abrasive Paper. It is used for manual sanding/grinding of wood, filler, lacquer, primer and metal materials using the random orbital sander, angle grinders, and velcro-system orbital sander. To maintain industry defined quality standards, the entire range is manufactured using quality proven raw-material and cutting-edge technology. Also, the entire range is examined properly by our quality experts upon distinct parameters of quality. In line with industry set standard, we provide this paper in various sizes and shapes as per the ever-evolving needs of our clients. Universally applicable for coarse, intermediate and fine sanding of wooden components and painted surfaces.